It should come as no surprise to any of you that I love planners. I mean, one of my first blog posts on The Caro Diaries was about my love of planners, and my inability to choose just one. I've been using Erin Condren planners for a few years now, and I absolutely love it, but being involved on campus, having an on-campus job, being an RA, being a member of a sorority, a full-time student AND a blogger can clutter up your planner in 3.5 seconds, and I found myself dreading looking at my planner every day. 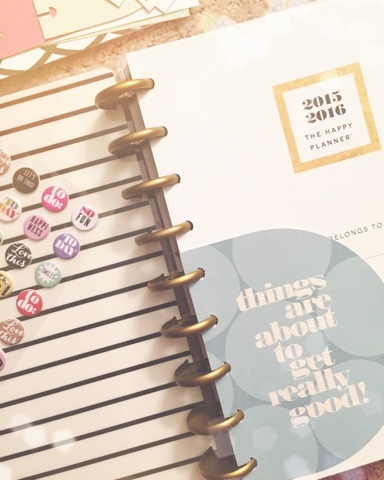 Enter The Happy Planner! With tons of space for stickers, personalization and fitting in every little aspect of your life, it's a fully customizable planner that can legit adjust for every single person's life. 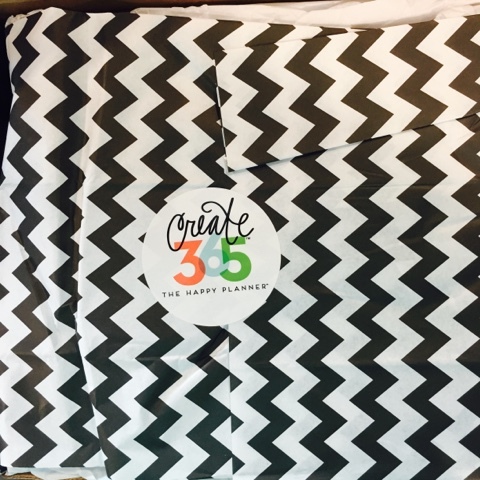 The company that makes the planner, me & my BIG ideas, sent me a huge package for me to try out the planner myself, with motivational quotes, every sticker imaginable and interchangeable covers because they already know I can't make my mind up! 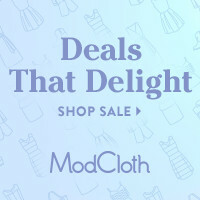 Plus, take 20% off ANY online purchase with the code HCCARODIARIES. What I love most about this is that it is 100% customizable in every sense of the word. You can take ALL of the pages out, add more in, change the color and size of the rings, add in sticky notes and pop-in notebooks, and even add in expansion packs to include things like cleaning, budget and shopping lists! Isn't it genius?! And with inspirational quotes every month, and pop-in inspiration cards like the "my life is joyful" and "things are about to get really good", it's just begging you to have a great week! 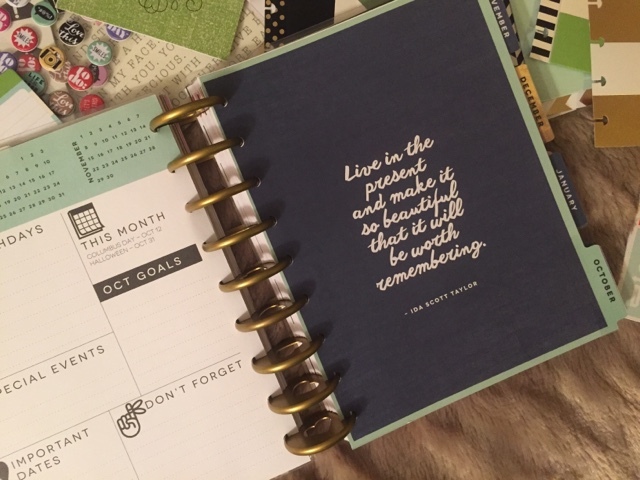 Every month also has the cutest planning page, with goals, important dates, special events and little "don't forget" spaces to remind you to make the most out of the month! How can you not be inspired?! For me, I'm not the most creative person. Shocking, I know. But my planners have all been very boring in terms of my weekly decorations. But because me & my BIG ideas sent me so many packs of stickers (seriously, so many stickers! ), I knew I needed to step up my game. Luckily for me, their Instagram page is overflowing with inspiration from crafty and creative people before me, and I'm just stealing their ideas cause GUYS HOW CUTE ARE THESE! There's nothing like stickers to inspire your week, to turn a stressful week around, and to remind you to be thankful and live in the moment. When life gets hectic, when my head feels like it's about to explode, throwing my little "I am happy" card makes my week just a little bit better! For those creative souls, this is a must-have, and at the price that it's currently at, it's a steal! But I won't lie to you and say you're not about to drop your life savings on every single accessory they have because YES you do need that gold foil sticker pack, as well as everything else they have in their store. Don't forget that if you're interested in buying anything from the me & my BIG ideas online shop, use my discount code HCCARODIARIES, which will save you 20% off any of your purchases until the end of the year. This post is sponsored by me & my BIG ideas and Her Campus Media. All opinions are my own. Thank you for supporting the brands that make The Caro Diaries possible! Such cute patterns and I love the gold binding! You are so lucky to have worked with Me & My Big Ideas, I hear that they're a wonderful company! :) I love the way that you styled this with all of those accessories! I might have to get myself another planner for work, and if I do I'll definitely be using your code! That planner is so cute! So many stickers and colorful patterns. I defiantly want to buy one now! That planner is adorable! Love all the accessories and quotes! I love this planner! I just started "glam planning" this year and I am obsessed. It makes planning so much more enjoyable. Oh my word. I want one NOW! I love how customizable that is. It's truly unique and flexible for anyone! So many cute organizing goodies! This looks amazing! I love a well-organized planner. I use a few different methods of organization in my life right now, but nothing beats a paper planner. Saw you post this on your Insta yesterday, and I have been thinking about it ever since! I can get a full-size planner for $20 using your discount code. 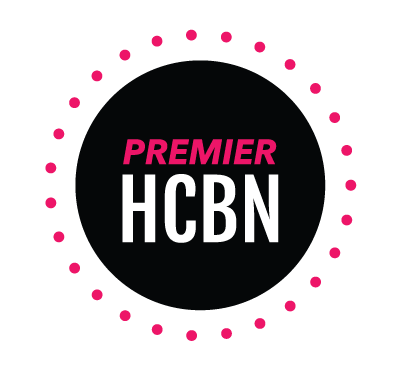 Thanks for sharing such an awesome brand! Too cute. I am so in love with this agenda. I have a Blue Sky Day Designer currently, but I really want a Jan.-Dec. 2016 one I just can't decide which one to get! I'll definitely take a look at this company. This planner is such a great price! 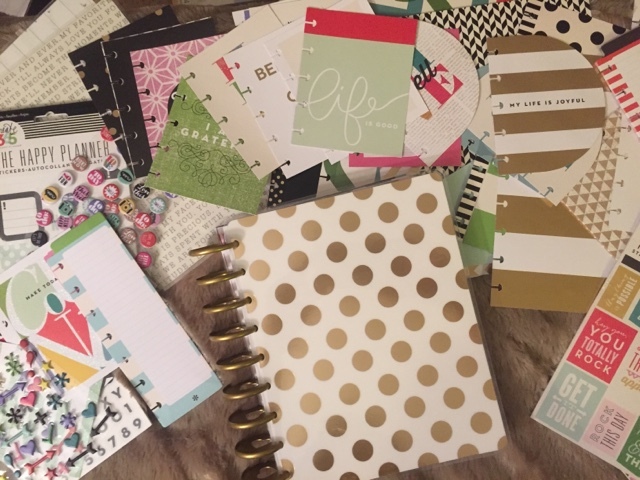 It seems really similar to the Erin Condren planners (which I love) but even more addordable! Haha accidentally crossed affordable and adorable there. I know English...I promise! That is so cool!! I love all the goodies you got! A good planner is an absolute must! I've seen a lot about this planner and am obsessed! 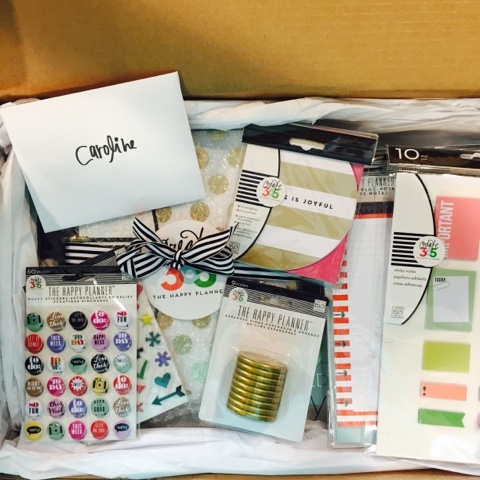 Love the fun stickers and accessories...it makes staying organized fun! Stop.... just when I thought I had it all. This is PERFECTION!! Absolutely love it! What an adorable way to stay organized. This makes me want to be better about using my planner! That planner is soo cute! I will definitely be looking into this one next year! Ahhh, this planner is so adorable....love the gold dots on this! I'll have to look into this for 2016! Oh my goodness! I love this! I love to craft, and I love planners, so this is right up my alley! Everything about this planner makes me happy! How cute is absolutely everything?! Ok that's it...I am getting this planner! Ooo I love this! 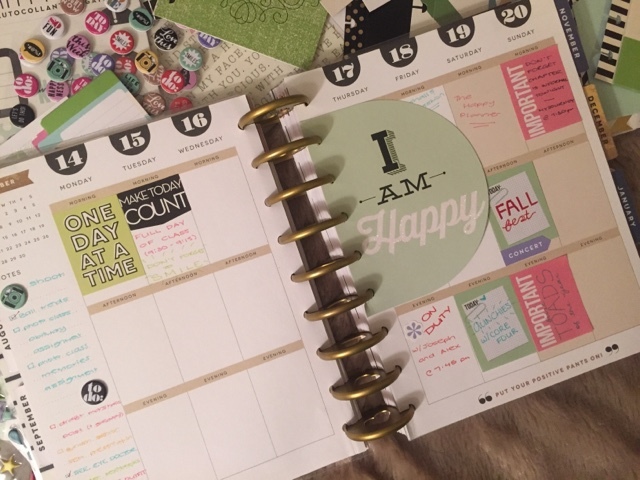 I want a Happy Planner! I love your planner. There is something so satisfying about actually crossing things off a list! I just got my Happy Planner a few days ago and I am loving it!!! I wish they would've sent me a package like you did, I had to pay for all of mine haha. 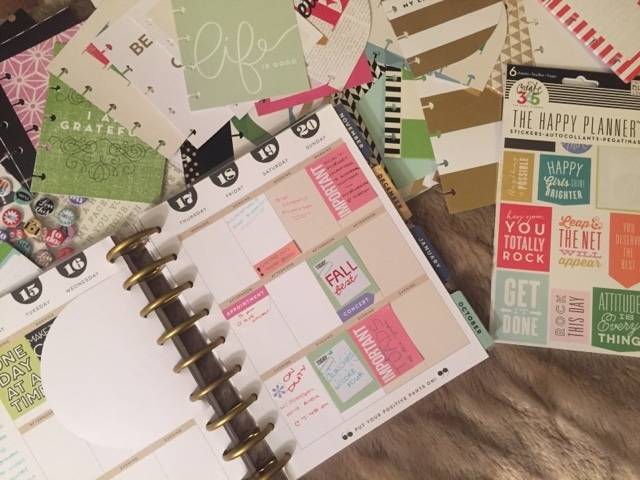 But it is so worth it because I much rather have options and customize than being limited and not being able to add or take away, like with Erin Condren's planners. Great post! !